I joined U.S. 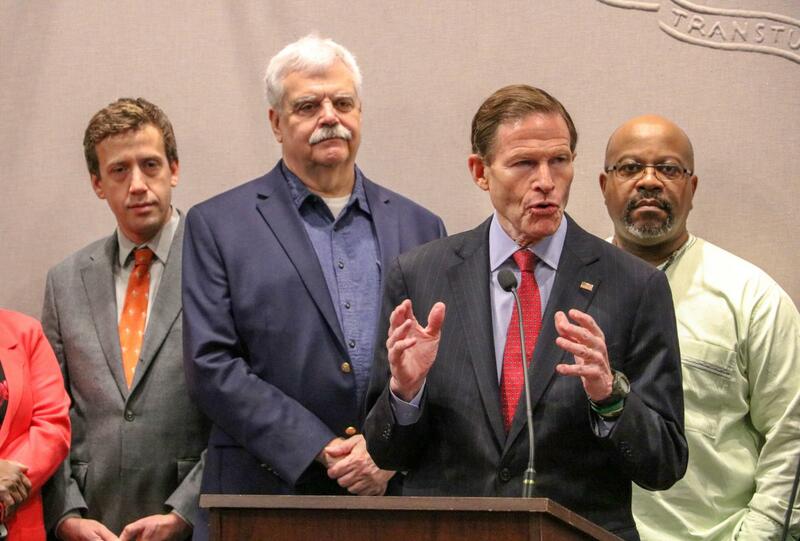 Senator Richard Blumenthal and several colleagues in the General Assembly Friday morning to support legislation to enact bills on early voting, expanding automatic voter registration, strengthening public financing of elections, raising the minimum wage to $15/hour, and paid family and medical leave. 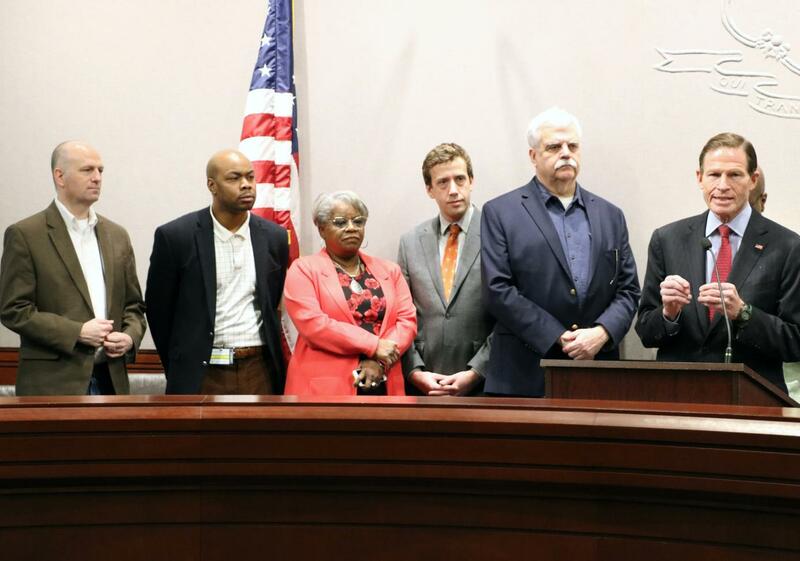 The press conference was organized by the non-profit, nonpartisan citizens’ lobby, Common Cause in Connecticut, which works for open, honest and accountable government. Connecticut has made significant strides to protect its citizen’s voting rights, and still can do more. When other states are working to suppress voters from voting, Connecticut is working to makes sure every vote counts, every vote is counted, and the right to vote is protected and enhanced. This year, I have also championed legislation that seeks to increase the minimum wage so that residents can better support themselves and their families, establish a paid and family medical leave program so that individuals may care for their loved ones without fear of foregoing a paycheck. We must continue to work diligently to eradicate all forms of economic, institutional and systemic injustices so that all Connecticut residents may prosper and lead productive lives.